Compact binoculars too often get overlooked, but if you do a lot of your birding as part of another pastime – hiking, dog-walking, climbing, cycling or boating, say – or perhaps if you’re a bird photographer who needs something lightweight to offset all those heavy lenses, they’re an option well worth considering. 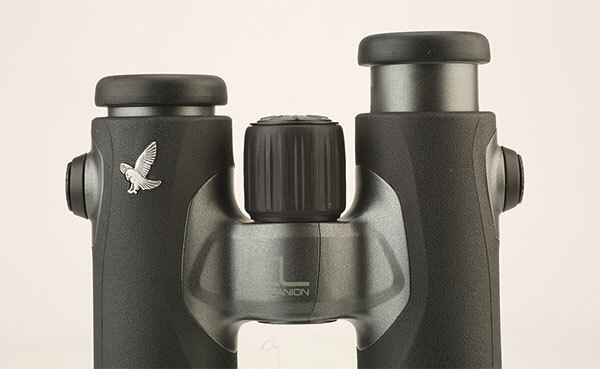 And if you are thinking about buying such binoculars as your main pair, then it makes sense to look at what’s available at the top end of the market. Swarovski’s CL Companions come in two sizes, 8x30 and 10x30 – I put the former to the test. They’re a pleasure to hold, with the textured rubber armouring giving a firm grip, and at just 490g, they’re very easy to hold steady with one hand while the other grasps a walking pole, a dog lead, a camera or whatever. 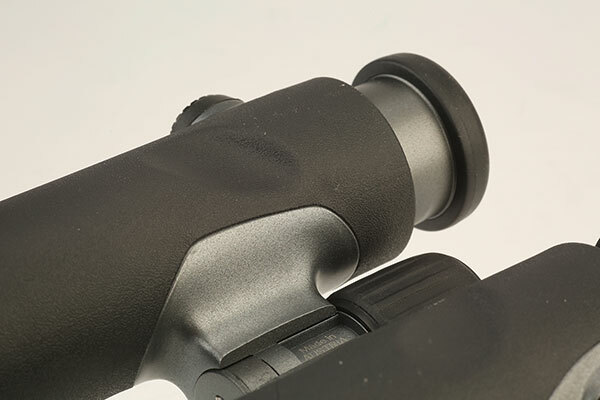 The eyecups offer a maximum of 16mm eye relief, and twist up and down. There’s no obvious intermediate position, but in practice they did stay in place halfway down. I did struggle a little with the dioptre – to set it, you need to push in the centre of the focus wheel. Once set, though, it stays in place very well. The focus wheel itself is just over a finger wide, and deeply ridged, making it easy to use while wearing gloves. It turns moderately stiffly and perfectly smoothly, taking just over one-and-a-half clockwise turns from close focus to infinity. Close focus, at around 3m, isn’t particularly noteworthy, which is a drawback if you want something for watching dragonflies, butterflies, etc. The image produced is bright and very natural in colour, with a field of view of 132m@1,000m – it’s sharp pretty much right to the edge, so there’s no ‘tunnel vision’ feeling. They performed well in low light situations, too, impressively for compact binoculars. Against direct sunlight, there was just a hint of colour fringing at times, but always when following a moving bird, and this disappears if you take a moment to get your eye position correct. They come with removable tethered objective lens covers – I usually end up taking these off, but these were excellent, with no ‘bounce up’ obscuring the lens at a crucial moment. There’s a good rainguard, too, but the strap is good rather than great – I’d replace it with Swarovski’s neoprene strap if I were using these long-term. They have the same attachment system as the ELs, so that’s easily done. Your CL Companions come with one of three accessory packages – Wild Nature, Northern Lights, and Urban Jungle (which was the one we tried). Basically each involves an excellent, roomy fabric carrying case, with a strap – again ours was good, but the straps in the other packages look more like the sort of thing you’d want if you were carrying these round all day. If you need something small and light, these are terrific birdwatching bins – I never missed my ELs while testing them. If your birding is combined with other activities, they’re well worth looking at – £980 isn’t cheap, but the quality is superb.